There are two differing schools of thought when it comes to maintaining (or increasing) your productivity, especially as a dot com entrepreneur. On the one hand, some people will tell you to find what you like, learn everything there is to learn about that particular thing, and utterly master it like you’ve never mastered something before. They’ll tell you to find that groove so that you find a certain level of comfort. They’ll tell you that by sticking with this one particular area, you’ll come to be known as an expert in the field and people will respect your opinion in all related matters. For example, you’ve got guys like Zac Johnson and Kieron Donoghue who are well-known for their expertise in affiliate marketing. They may not necessarily be as well-versed in CPC campaigns, freelance writing, or web design, but they know their way around lucrative affiliate deals. The trouble with this kind of strategy, I think, is that it is all too easy to fall into a groove that is too comfortable and thus, you become stagnant. You may become bored. What was once fun, new, and exciting has become mundane, boring, and not stimulating whatsoever. After all, if you’re a relative expert in something, low-level thought in that area is meaningless to you. If you were a mathematician and someone approached you with a multiplication table, it’d be a totally “so what” kind of moment. The second school of thought is the one that better suits my personality. While it is important to develop a certain level of expertise in your chosen field — I suppose blogging and freelance writing are my foray — I feel that it is also important to broaden your horizons. On a micro level, I’ve come to explore different areas of freelance writing: website reviews, SEO articles, marketing tips, and hockey, to name just a few. I’ve also dabbled in biographies and copywriting. Even if all I do is professional blogging, I’d like to write for a niche and for the masses, covering several different topic areas. 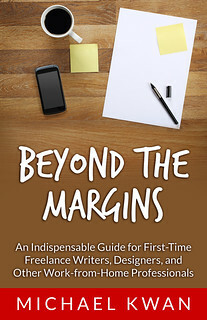 This is how I can keep my freelance writing career fresh and interesting. Back in 2002, I talked to a guy who had been working with CP Rail since the day after his high school graduation. He was on the verge of retirement at the time, meaning that he had been doing pretty much the same job at CP Rail for over 40 years! Sure, he moved up from being the “yard boy” to some sort of manager, but the duties and tasks were relatively unchanged. I don’t think I could do that. Freelance writing is reasonably enjoyable, but it’ll be interesting to see what I’ll be doing with my life 10, 20, 30 years from now. Maybe I’ll be writing books like Chris Bibey (thanks for Open Your Heart to Basketball by the way), instead of writing for the web. In the meantime, I’m going to keep it fresh and dabble in several different areas. Viral marketing for an affiliate program? Bring it on! Technology product reviews? Sure! A secret blog about water polo? Maybe! Want More Freelance Work? Just Ask! I agree with you fully on that one. One of my making money online idea’s is to get a mojor company to sponser my site and run adds on it. Not like whats being done right now. I still have a ways to go before I call them and make a pitch though. Until then I wil keep it low key like your new web site idea. If you monetize your blog to early it just gone down.